How do you support your child’s interests? It’s part of the trending dialogue online – aspirational (AKA helicopter) parents hover over, micro manage and over schedule their child in daily extra curricular activities. Sorry, that was me putting on the brakes. This trend – if it is widespread – isn’t new. I have sharp recollections of older Baby Boomers describing their children’s activities back in the 90s and 80s. (These older parents are now share parenting recollections about simpler times and reposting “Oh These Modern Parents” viral posts.) Many of these conversations involved reports about how their children were excelling at sports, arts and other undertakings. Some of their offspring went on to pursue these interests as adults. And many others did not. Yes, there are benefits to studying music and other disciplines at an early age; however, the students should also enjoy what they are doing. Nobody wants to grow up with a Tiger Mom (and proud of it) yelling over their shoulder. We all know people who pursued activities to a serious degree, only to abandon the interest later in life. Why Do Children Take After School Classes? Most children are not child prodigies but, in families that have the financial resources, many children are spending a hefty chunk of time going to music and other classes. A parent might tell you that it’s what the child wants. Sometimes it is but sometimes you’re just not sure where the driving motivation is rooted. (Consider the example of the adult, quoted above, who found performing to be stressful.) My 6 year old twins are just coming out of a year or so of telling me that they “did not want to learn the piano”. This followed some very low key attempts to learn the piano, with my assistance, when they were 4. So I left them them with an open piano keyboard and two instructions. Please wash your hands and please play the keys lightly. Some parents, in this type of situation, would have ignored this feedback and signed up for piano classes two years ago. Not everyone has agreed with this decision to wait and see. For more than a year they’ve been experimenting on the piano. Now that they’re learning more about reading music at their group music class – based on Kodaly, Orff and Suzuki teaching methods – and they’re cracking open the simple piano books that I kept from my childhood and making progress. I have seen families where large sums of money were put into sports classes or other endeavours. After hearing about how the child is not in the top ranks of that discipline, the classes are stopped. On the flip side, do we have to be highly talented to justify taking a class in piano or gymnastics? 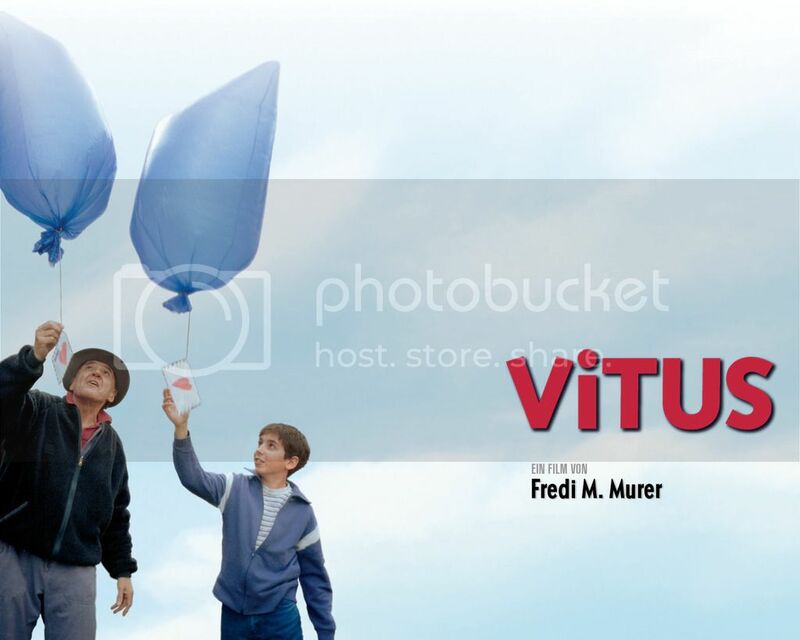 Vitus is a Swiss-German film about the relationship being a talented young pianist and his family members. It was filmed in 2004 and released in 2006. A second theme in the movie is the role that a grandparent plays in how the boy determines what his priorities in life should be. How do the parents react to their child’s talents? How do they support their boy? What are their expectations? How does the child feel about these expectations? How is the boy’s relationship with his grandparent independent of, and unmediated by, his parents? Does this type of relationship happen in society today? Are there adults who have an influence on our children’s lives without our interference? The somewhat lukewarm rating on Rotten Tomatoes matches my own unofficial survey. Vitus is not just about the lot of child prodigies and that’s why it’s a film worth watching. After watching the film you’re left with questions about parenting choices and interactions; how children can pursue their interests; and, relationships between generations. If you subscribe to Canadian Netflixs, the film is currently in their catalogue. If not, perhaps your library system has a copy that you can request or you can rent one somewhere else. Just stay away from summaries online. As always – they give the plot away completely. What did you think about this film? You can comment about this posting in the comment section below or on the BCFamily.ca Facebook page. Your contribution matters so don’t be shy! Audition tape of the lead actor Teo Gheorghiu, who plays Vitus. The actor’s parents are Romanian and Canadian, by the way.